Network File System (NFS) is a network file system protocol often used with Unix and Unix-like systems like Linux. 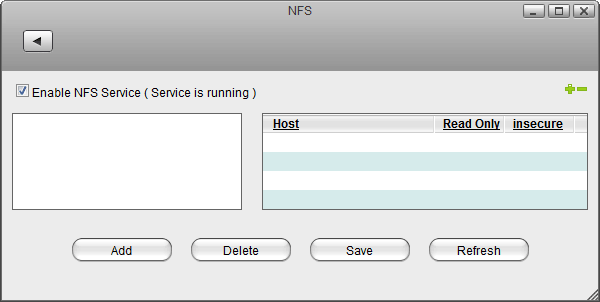 On the Mac, we generally recommend using SMB or AFP instead but if you like, you can also use NFS. 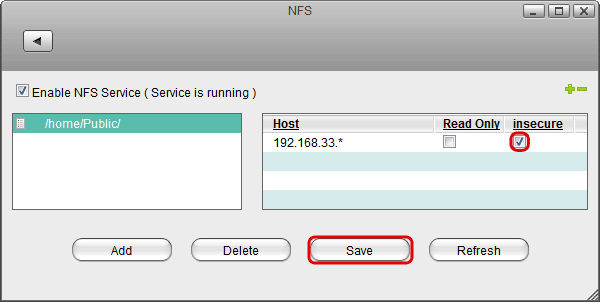 The advantage in comparison to SMB and AFP is that once the administrator has setup a NFS share, anyone on the same local network can access the share without having to login. 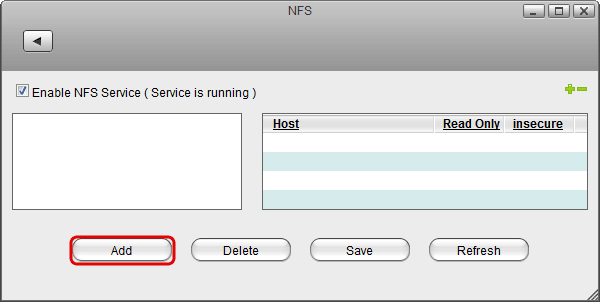 You can only use NFS when both your network drive and the computer are connected to the same local network. If you are not at home and would like to access your files remotely, this method does not work. As an alternative, you could mount the drive using WebDAV, although the transfer rates will be slower and there are some other limitations as well. Instead, you might want to consider using FTP or if you don't have to upload a large amount of files, simply use the web interface. Go to Preferences > NFS. 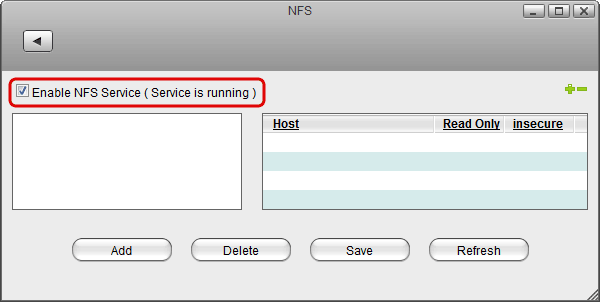 Make sure the NFS service is up and running. Select the folder that you would like to share and click Open. Enable the option insecure and click Save. Type nfs:// followed by the local IP address (e.g. 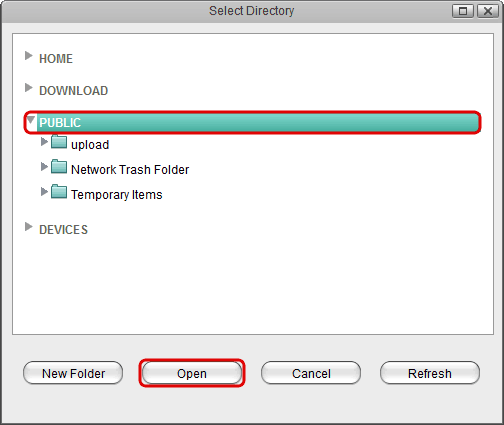 192.168.1.10) of your network drive plus the path to the share as seen in the preferences when you setup the NFS share (e.g. /home/Public) and click Connect. 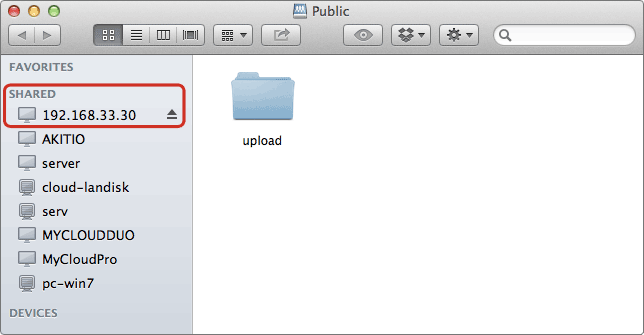 You can now access the shared folder in your finder under Shared devices. When no longer needed, click on the eject button to disconnect the drive.